Mrs. Sue Brummett, age 67 of Mason, Tennessee, died Friday February 3rd at Baptist East Hospital in Memphis. 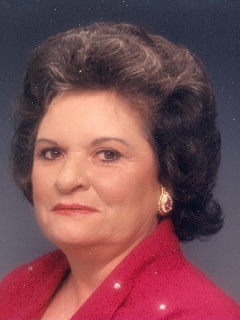 Funeral services were held Wednesday, Feb. 8, 2012 at 2 P.M. from the Chapel of the Taylor Funeral Home. Burial followed at the Jacksonï¿½s Chapel Cemetery. Survivors include her son Troy N. Brummett of Arlington, Tennessee; daughters, Denise Gray of Woodbury, Tennessee and Connie R. Bramlett of Mason, Tennessee; five brothers, Tommy Ivey of Ashland City; Bill Ivey of Fairview; Bobby Ivey of Fairview; Marvin Ivey of Fairview; Wayne Ivey of Fairview; five sisters, Hessa Lee Kennedy of Fairview; Aline Reynolds of Brush Creek; Margie Barns of Fairview; Lucy Sensing of Dickson; Janice Meadows of Ashland City; six grandchildren; five great grandchildren; several nieces and nephews.